How tall is James Reid? What is the height of James Reid? Here are some information about James Reid's height. Robert James Marquinez Reid is a Filipino-Australian singer, actor, dancer, karateka, and songwriter with dual Filipino and Australian citizenship. He rose to fame after being named as the Big Winner of Pinoy Big Brother: Teen Clash 2010. 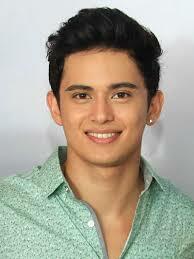 The height of James Reid is 5ft 8in, that makes him 173cm tall. James Reid and Nadine Lustre have been linked to each other since their first movie as a love team way back in 2014. They have been together as a love couple in several movies and television shows.James and Nadine showed the public that they are officially a couple last February 2016. James Reid's height is 5ft 8in or 173cm while I am 5ft 10in or 177cm. I am taller compared to him. To find out how much taller I am, we would have to subtract James Reid's height from mine. Therefore I am taller to him for about 4cm. And see your physical height difference with James Reid. Do you feel that this height information for James Reid is incorrect? Leave your comments and suggestions below and help us make this height listing for James Reid more accurate. who the fk is this dude! he looks like a baby. who would want a short dude? i am sure the low class wouldn't mind it! as long he looks good for the masa, who differs so much in their looks alone. i recalled this fker in pbb. daming jlogs na squatters ugali... eww.. i hope they'll play that 90's hit again... don't wanna short short man! so mean right?! haha. you may got the looks, but it won't last either as you grow older. damn! my bros are taller than him, we don't even have a western heritage any longer. well more likely i don't consider spanish shtty blood any longer in our genes. like this wannabes, unless it really shows like 90%. unless no one tells you, you look like it, i suggest you sht the hell up. oh mga jologs. nakaka suka mga pinag gagawa niyo. don't worry, now lang ako nag comment, after such a very long time, since the fking pbb controversial. nag kataon lang, nakita ko yung post somewhere, and one more thing, i don't give a fk about your channel/network ratings. sa mga jologs lang naman yan. hahahahahhahahaha. pati yung mga ayaw ayaw niyo. mabababaw mga buwisit na to, mga papangit na nga lahat, grabe pa. hahhaa. nope, i am not 100 percent filipino... yes! but i am a filipino! at least i don't look like none of this mga mukhang provincianong mga jologs na kahit san lang nag kalat sa Metro manila. pwee! bumalik na kayo sa probinsiya niyo, mga gago! over populated na sa manila. 25m na ho! wala kaming probinsiya di tulad niyo! mga epal! James is not 1.75 m tall. I think he is shorter than this. He wears boots to look taller. I would say he is 5 ft 6 in tall max, without height enhancing boots.